For gates up to 700 lbs. and 30 ft. in length. 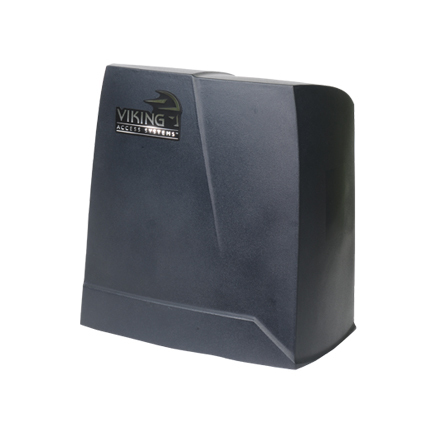 This is a Viking K-2 Slide Gate Operator. The newly redesigned K-2 residential slide-gate operator features the VFlex control board with on-board diagnostics LCD screen and simple push-button digital-limits setup. It features a built-in heater, convenient fuse access and LED status indicators for incoming high voltage, increased gate capacity of up to 700 lbs., true standard battery backup system, and a 5-year residential warranty. This operator is energy-efficient and suitable for low-voltage installation, and it complies to ETL and UL standards, making it the operator of choice for your residential slide-gate application.